Take a closer look at some of the pages here! This particular book is a special edition with the full focus on the aircraft profiles included. The print run of this Limited Edition is just 250 copies, numbered and signed by myself. This book is intended as a unique Collectors' Item for just a few of the thousands upon thousands of people that I have had the opportunity to come in contact with, thanks to my website, books and periodicals. 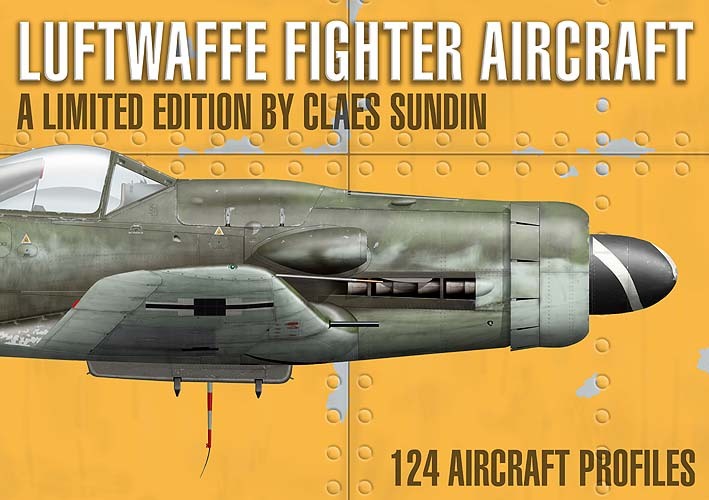 This volume has 132 pages, a book that includes my best work up today, a book of unequaled aircraft profiles and with the highest paper and print quality possible, all to satisfy the fellow enthusiasts out there.